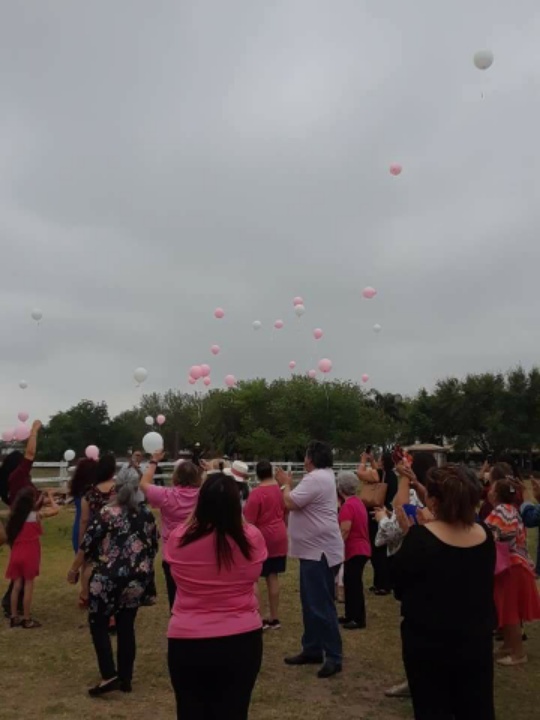 McALLEN — When Dolores “Loly” Ornelas was diagnosed with breast cancer in 2011, support from her family, friends, and coworkers was indispensable as she battled the disease. So in 2013 she launched a support group for other breast cancer survivors which eventually evolved into Faithful Warriors, a nonprofit group that aims to bring awareness and prevention. This year, the group began offering vouchers for free mammograms to people of low-income but have faced difficulty in getting people to take advantage of them. The problem is that even if a person qualifies for the free mammogram based on their income, the person would still need a doctor’s referral. To help get past that hurdle, the group’s executive team decided at their latest meeting on Saturday that they would also pay for a doctor’s visit to get that needed referral. “If we have the vouchers available for them and the only thing that’s holding them back is getting the referral, we might as well just pay for the doctor’s visit to get the referral and help them out,” said Ornelas, 61, of Edcouch. Cecilia Portillo, the group’s secretary, knew first-hand the struggle of just getting that referral, calling upon friends for recommendations on where she could go to get one, all while trying keep her situation under wraps. After Portillo, now 44, was officially diagnosed with breast cancer in 2013, she met Ornelas and the support group. Eventually, Portillo joined Faithful Warriors and the group has held raffles and partnered with Rio Grande Valley College for a 5K run. Now, they’ve partnered with Doctors Hospital at Renaissance for the mammograms. The group’s executive team meets once a month at one of their board member’s office in McAllen but currently the organization itself doesn’t have its own facilities. The hope is to someday find an area large enough where they can hold support groups again, Ornelas said. Previously, those were held at the home of one of their co-founders, Maricruz Bernal, but she died in February 2018 at 49. Their third co-founder Melina G. Silva, died in December 2015 at 45. “We really want to start that back up again,” Ornelas said of the support group, adding that she hoped to find a central location accessible to people throughout the Rio Grande Valley. Despite not currently holding support meetings, she said she still tried to be there for people going through a hard time.